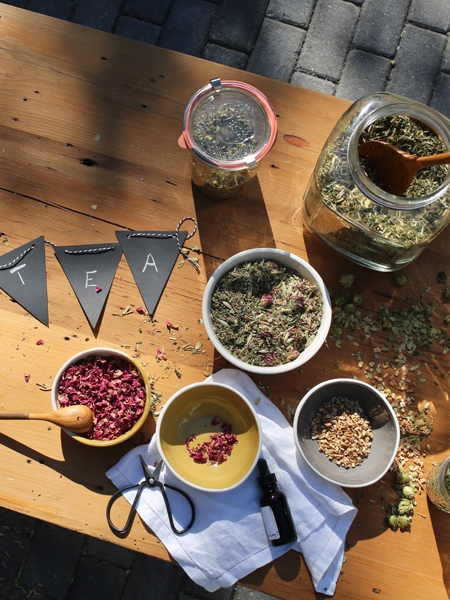 Have you already laid the groundwork for your adventures in the boundless world of herbalism? Are you ready for the next step? Our online Intermediate Herbal Course is designed for those with a beginner level of knowledge, whether that be from workshops, the Introductory Herbal Course, or self-study. Review some basic concepts to whet your appetite and expand into many in-depth topics to help you grow you as an herbalist! Delve into intermediate topics such as herbal actions; safety and contraindications; energetics and constitutional theory; anatomy and physiology of body systems. We’ll explore holistic support for healthy body systems and for a variety of common imbalances, and provide guidance for herbal therapeutics and herbal formulation. This course combines the wisdom of folk and other global healing traditions with modern herbal practice and science, all which have important perspectives to offer the study and practice of herbalism. You will be introduced to the wisdom of some of today’s most revered herbalists, and see how you can reintegrate herbal practices and traditions into modern life. The Intermediate Herbal Course is perfect for those students who want to integrate a holistic, plant-based approach to wellness into their lives. It is the next important foundational step for those who seek to continue on with advanced training. Upgrade enrollment with our Print Version including the complete course textbooks (2 volumes), 2 companion booklets, and the compiled Recipes + Monographs Books from class. The Intermediate Herbal Course is an online and self-paced apprenticeship for distance learners. If you are looking for a place to study herbalism in a safe and guided environment, we welcome you to join our ever-growing online community of herbalists! New students from all backgrounds and countries are registering for this program every day so start your enrollment when you are ready, and begin just moments after you register. The use of herbs was an integral part of supporting wellness and correcting imbalance for millennia. It was not until relatively recently, at least in the Western world, that herbs were supplanted as the primary component of our apothecaries. Despite this shift, herbs continue to be effective allies in supporting wellness, and are often readily available. We can grow them ourselves or get to know them in wild settings, while in the process becoming more attuned to the environment which coexists with its inhabitants, be they plant, animal, fungi, or bacteria. We believe that it is our birthright to be in relationship with and use the gifts of nature with respect and wisdom, and herbs are one of those gifts. Wellness doesn’t come from plastic bottles. Vitality develops naturally from the way you live your life. Deep down, people already know this. 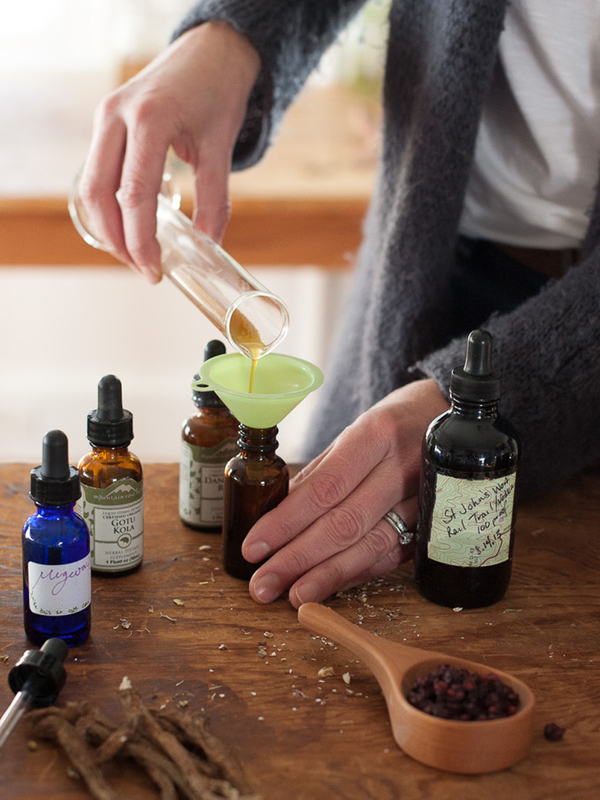 Here at the Herbal Academy, we believe that a holistic herbal-based approach to wellness is making its way back into the mainstream, right where it belongs. If you want to learn more about herbs as wellness-supporting tools and as food, and if you’re just too busy to enroll in an in-person program, join us for a comprehensive and convenient online herbal course you can complete anywhere and anytime—right on your computer! Learn what your great ancestors knew about the natural world and begin to build your own materia medica and apothecary. We’ll show you how and tell you why. The Intermediate Herbal Course is your online doorway into the wild and wonderful world of herbalism. Our intention for this self-paced herb course is to help you take the next step in learning how to integrate a holistic approach to wellness into your life. This course devotes an entire unit to food as the foundation – using herbs and foods (and the phytochemicals within them) to support wellness and ease common complaints. You’ll learn to nourish yourself with wild edibles and wildcraft common wild plants. You’ll build your materia medica, learning the actions, energetics, safety, dosage, why, and how of many herbs and their uses. The bulk of the course walks through each body system, including the digestive, immune, nervous, cardiovascular, liver, respiratory, and urinary systems, devoting a unit to each to discuss anatomy, physiology, balance, imbalance, herbal support, and appropriate materia medica, including 150 herbal monographs! We integrate knowledge of energetics (of both people and herbs), tissue states, and the rationale of choosing a particular herb for a particular person and imbalance. 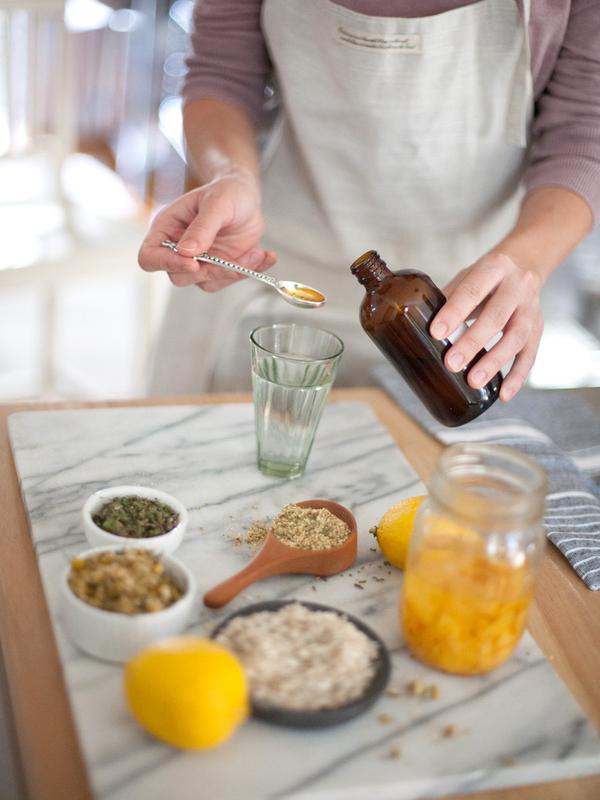 The course includes video tutorials and 185 recipes for a variety of herbal preparations to help you build your apothecary. 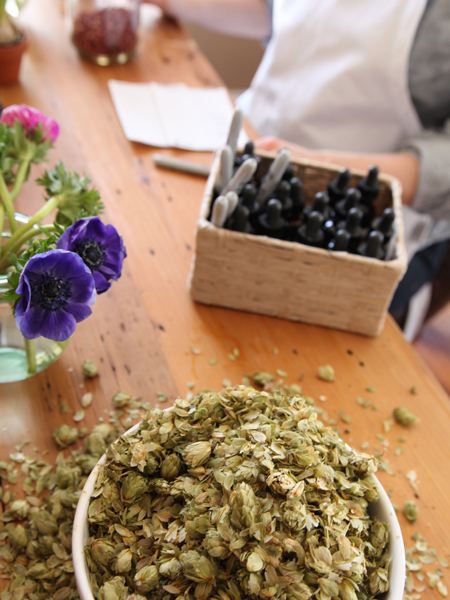 The beautiful lessons are loaded with the knowledge that will help propel you the next level of your herbal practice. We’ll dig deep into body systems, theory and energetics, and formulation, so get ready! Each unit includes an assortment of recipes and formulas ready for you to download and print. Downloadable and printable, every unit includes relevant charts and handouts to aid in your learning! Each unit includes an assortment of herbal monographs relevant to unit topics to help you build your materia medica knowledge. Because some of you are visual learners, we’ve included video demonstrations throughout the course—these include herbal preparation demonstrations, explorations of anatomy and physiology, and tutorials from some of our favorite teachers. Each unit includes exercises designed to help you delve deeper into course topics, and requires successful completion of a quiz in order to pass through to the next set of lessons. Retake the quizzes as many times as you need! Throughout your studies, you will have easy access to course instructors and Herbal Academy team members to help with questions. We’re with you every step of the way. Access to the Herbal Academy’s catalog of discounts, including discounts on Mountain Rose Herbs and Bulk Herb Store orders, $20 off United Plant Savers membership, and savings on Natural Herbal Living, Essential Herbal Magazine, Mother Earth Living, Original Organics, and more. We’ve brought together formally educated and experienced clinical herbalists and medical professionals who love sharing their passion for plants and people to teach this 10-Unit comprehensive, multimedia learning experience. Our well-rounded, seasoned team has worked together to bring you a program that covers every angle! We are dedicated to teaching and promoting a lifestyle of wellness and vitality through the use of herbs, sound nutrition, and optimal lifestyle practices. We offer high quality, affordable herbal studies programs to empower our students and celebrate the community-centered spirit of herbalism by collaborating with a wide diversity of herbalists to create an herbal school that presents many herbal traditions and points of view. As a team, it is our goal to educate and to promote sound, safe, and ethical herbal practice. Upgrade your registration with our Printed Course Package to experience your course to the fullest! This set of books presents the entire Intermediate Herbal Course in printed form – over 1,400 pages available for your study and enjoyment! You will receive the Herbal Academy’s complete Intermediate Herbal Course textbooks in two volumes along with a compiled Recipes + Monographs Book and the program’s featured Herbal First Aid Booklet and Herbal Skin Care Booklet. View more images of the Intermediate Herbal Course’s Printed Textbook Package here. The Intermediate Herbal Course is intended for students with some herbal training (the Online Introductory Herbal Course, community herbal classes, workshops, and/or self-study), but even if you’re new to herbalism, we’ll be reviewing some basic concepts in the first unit to set the foundation. The online herbal course will include intermediate topics such as safety and contraindications; energetics and constitutional theory; in-depth coverage of anatomy and physiology; holistic support for healthy body systems as well as for a variety of common imbalances; and guidance for herbal formulation. We will introduce many theories and works of some of today’s most revered herbalists such as David Hoffmann, Rosemary Gladstar, jim mcdonald, and David Winston, and Academy contributor Matthew Wood and Guido Masé, as well as many others. You will also study many different ways herbalism has been practiced over the centuries and how in recent years we have begun to relearn these traditions and integrate them into our modern herbal practice. While we recommend spending at least one month of serious study in each unit, students have the ability to work at their own pace toward completion. Students will have access to the online portion of the program for two years. Each of the program units are available for download and print, so as a student you can use your program as a valuable resources for many years to come. Here at the Herbal Academy, our team of herbalists and instructors are here to support you on your journey from afar, keeping you well informed and in good company. Work on your herbal studies from the comfort of your own home and we’ll be working right along with you. Grow with our Academy family—even after you complete your studies. We have built a community of support for those seeking to learn more about herbs and how to lead a richer, more fulfilling, and healthy lifestyle. As a student in the Intermediate Herbal Course, you will gain access to our student-only community, which you can continue to enjoy even after you graduate from class! Ask yourself, what would I do with an herbal certification? If the answer is, I will reach out in some way to share this information, then you are in the right place. You can share all that you have learned here with your family and friends. You can be the one to inspire them to seek balanced health and vitality. Show others the way to use plants to support wellness. Teach, explore, preserve, and honor this tradition. Food and herbs are just as relevant today as they were for our forebearers. We are all innate herbalists but we must learn how to use this precious gift responsibly as well as intuitively. Let’s do this together, one lesson at a time.